Distinguished Professor Phillips performed as tuba soloist throughout the world. His music career began as a teenager with the Ringling Bros. and Barnum & Bailey Circus Band. From 1950-­?71 he maintained an enviable freelance career in New York City, performing, recording and broadcasting with famous artists, conductors, bands and orchestras. In 1954, he was a founding member of the New York Brass Quintet. He served as personnel manager for Symphony of the Air, Leopold Stokowski, Igor Stravinsky, and Gunther Schuller. He was New England Conservatory Vice President for Financial Affairs (1967-­?71). In 1971, he was appointed to the Indiana University faculty. For ten years (1986-­?96) he served as Executive Editor of The Instrumentalist magazine. His honors include Principal Tuba, Circus Hall of Fame Band (selected by Merle Evans); Kappa Kappa Psi Distinguished Service to Music Medal (1979); Association of Concert Bands “first” Mentor Ideal Award (1994); Sousa Foundation Sudler Medal of the Order of Merit award (1995); National Band Association Academy of Wind and Percussion Arts Award (1995); United Musical Instruments Lifetime Achievement Award (1996); American Bandmasters Association Edwin Franco Goldman Award (1996); Rafael Mendez Brass Institute Lifetime Achievement Award (1997); Colonial Euphonium-­?Tuba Institute Development of Musical Artistry & Opportunities Award (1997); Phi Mu Alpha Orpheus Award (1997); and others. Harvey Phillips Day has been celebrated by the New England conservatory (1971) and by his home town Bi-­?Centennial Celebration, Marionville, Missouri (1976). In 1985 the Governor of Missouri declared a Harvey Phillips Weekend. He holds Honorary Doctor of Music (1971) New England Conservatory, and Honorary Doctor of Humanities (1987) University of Missouri. In 2008, he was inducted into the American Classical Music Hall of Fame. Professor Phillips was the founder and president of the Harvey Phillips Foundation, Inc. which administers OCTUBAFEST, TUBACHRISTMAS, TUBASANTAS, TUBACOMPANY, TUBAJAZZ, etc. In May 1994 he retired from Indiana University with the title of Distinguished Professor Emeritus. Professor Phillips is survived by his wife, Carol, sons Jessie, Thomas, and Harvey Jr.
Bassist Jeremy Allen has served on the faculty of the Indiana University Jacobs School of Music since 2006. He has performed in the United States and abroad with such jazz luminaries as Fred Hersch, David Liebman, Kenny Wheeler, Bob Brookmeyer, Randy Brecker, Tim Hagans, Eric Alexander, Jerry Bergonzi, Rich Perry and George Garzone. Allen has been invited to perform at the Terni (Italy) Jazz Festival, the Bonn Beethovenfest, the International Association of Jazz Educators Conferences in New York City and in Toronto, the inaugural Jazz Educator’s Network Convention in St. Louis, the Iowa City Jazz Festival and at the United Nations headquarters. David Baker is one of the leading jazz musicians, composers, and pedagogues present today. Mr. Baker has been honored with a number of awards, including the Down Beat Magazine’s New Star Award, Lifetime Achievement Award, Jazz Education Hall of Fame Award, the National Association of Jazz Educators Hall of Fame Award, and the National Endowment for the Arts American Jazz Masters Award. Mr. Baker serves as the conductor and artistic director of the Smithsonian Jazz Masterworks Orchestra. He is president and former vice president of the International Association of Jazz Educators, president of the National Jazz Service Organization, and senior consultant for music programs for the Smithsonian Institution. In 2001, Mr. Baker was honored as an Indiana Living Legend. Norlan Bewley, tuba with UPBEAT BRASS and Low Brass Artist (trombone, euphonium, tuba), is the founder and principal composer/arranger for UPBEAT BRASS. A former student and longtime professional colleague of Harvey Phillips, he serves as Associate Director of Harvey Phillips’ tuba ensembles and projects, including TUBACHRISTMAS, TUBASANTAS, the TUBACOMPANY, and the TUBASHOP QUARTET. Norlan composes and arranges virtually all of the music performed by these ensembles. In 1992, he edited the volume 2 edition of the “Carols For A Merry TubaChristmas” music book, adding several of his own arrangements to the original collection of arrangements by noted composer Alec Wilder. He was nominated for the Pulitzer Prize for music composition in 2005. His work as a performer, composer, and educator has been supported by The National Endowment for the Arts, The Ohio Arts Council, The American Music Center, Culture Works, The Mead Foundation, NCR Corporation, LexisNexis, The Harvey Phillips Foundation, Reynolds and Reynolds, and many other organizations. Dr. Brian L. Bowman currently serves as Regents Professor of Music in Euphonium at the College of Music at The University of North Texas. Dr. Bowman has previously held the principal euphonium position, in addition to being a featured soloist, in the following ensembles: the United States Navy Band, the United States Bicentennial Band, the United States Air Force Band, and the River City Brass Band. He has performed as a soloist in all 50 states, and in numerous other countries around the world. In 1989, Dr. 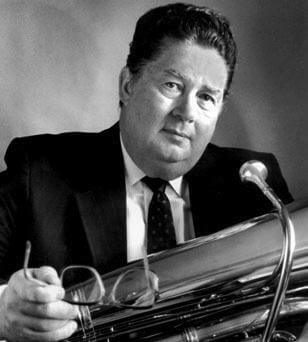 Bowman was awarded the British Magazines “Euphonium Player of the Year”, and in 1995 was given the Lifetime Achievement Award from the Tubists Universal Brotherhood Association. Most recently at the 2010 ITEC, Dr. Bowman was given the Clifford Bevan Award for Meritorious Work in Low Brass Scholarship. Michael D’Angelo is a Grammy nominated drummer and percussionist. He is currently a Master’s student in Jazz Studies at Indiana University and holds a Bachelor’s degree in Percussion Performance from the University of North Texas. Michael was a member of the One O’Clock Lab Band from 2008-­?2009 and received a Grammy nomination from the band’s annual recording, “Lab 2009” for Best Large Jazz Ensemble Album. At North Texas, he was also a member of the Wind Symphony and Advanced Percussion Ensemble, premiering new works for chamber and large ensemble. Michael is best known for being the winner of Modern Drummer Magazine’s inaugrual Undiscovered Drummer Contest at the age of twelve. In 2000, he performed at the Modern Drummer Festival and was also featured on Hudson Music’s DVD release of that year’s festival. Allan Dean is Professor of Trumpet at the Yale University School of Music. He freelanced in New York City from 1963-­?1982. He joined the Indiana University faculty in 1982 and moved to Yale in 1988. He was a member of the American Brass Quintet (1964 -­? 1966), The New York Brass Quintet (1966 -­? 1984), and the St. Louis Brass Quintet (1984 -­? present). Dr. Marc Dickman is a founding member of the acclaimed jazz studies program at the University of North Florida. Dr. Dickman earned degrees from Troy State University, McNeese State University, and the University of North Texas. His versatility on euphonium, trombone, bass-­?trombone, and tuba in the classical and jazz styles places him in much demand in the United States. He is a winner of the artist division of the International Leonard Falcone Competition. Dr. Dickman was a featured jazz artist at the 2000 International Tuba Euphonium Conference in Regina, Saskatchewan, Canada, the 2001 ITEC in Lahti, Finland, the 2002 ITEC in Greenville, NC, and the 2004 ITEC in Budapest, Hungary, and the 2005 and 2008 US Army Tuba Euphonium Conference. Dr. Dickman is a founding member of the groundbreaking jazz ensemble, the Modern Jazz Tuba Project. An active performer of jazz and classical piano music, Luke Gillespie is the recipient of numerous awards, including best performance from the Indianapolis Star in 1993, the 1990 Copland Piano Concerto Competition at Indiana University, and the 1994 Indianapolis Jazz Festival Competition. He has recorded with the Arts Center Jazz Collective, David Baker, Bruce Bransby, Buselli-­?Wallarab Jazz Orchestra, James Campbell, Steve Davis (drums), Everett Greene, Sylvia McNair, Dan Perantoni, Eugene Rousseau, Dominic Spera, Wanda Stafford, and Tom Walsh and performed with artists including Jamey Aebersold, Eric Alexander, Benny Golson, Wycliffe Gordon, Bunky Green, Jimmy Heath, Steve Houghton, Ingrid Jensen, Kelley Johnson, Pat LaBarbera, David Liebman, James Moody, Ed Neumeister, Chris Potter, Rufus Reid, Arturo Sandoval, Jim Snidero, Rodney Whitaker, and Pablo Ziegler. Don Harry was born in Anadarko, Oklahoma, and is the current Associate Professor of Tuba at the Eastman School of Music in Rochester. Prior to his position at the Eastman School, Mr. Harry served in a variety of principal tuba positions with orchestras including the Oklahoma City Symphony and the Buffalo Philharmonic. Mr. Harry has also served as instructor of tuba at a variety of well-­?regarded institutions including the Juilliard School of Music in New York City and Baldwin-­?Wallace Conservatory. Mr. Harry was a student of both William Bell and Harvey Philips. Chitate Kagawa is a native of Hokkaido, Japan. Kagawa has been a member of the Grand Self Defense Force Central Band and the Sapporo Symphony Orchestra as principal tuba. In 1971 Kagawa founded the Sapporo Wind Band and served as its conductor for eight years. More recently, he served as instructor of tuba and euphonium at the Hokkaido University of Education and Ohtani College. Kagawa was also a founding member of the Hokkaido International Music Exchange. In September 1973, he was selected and sponsored by the Cultural Affairs arm of the Japanese government as the first Japanese brass instrument player to visit the United States. Kagawa studied tuba under Professor Harvey G. Phillips at Indiana University. In June 1981, Kagawa established the Hokkaido Euphonium Tuba Association (HETA) both to increase awareness of these instruments in Japan and to encourage pride in their performance. In August 1981 he created the first tuba/euphonium camp in Sapporo. Since 1985, Kagawa has invited outstanding international tuba and euphonium artists to teach at the camp. Kagawa’s timeless dedication to music instruction has qualified him to receive the ITEA Lifetime Achievement Award. Winston Morris has served as Professor of Music and Instructor of Tuba and Euphonium at Tennessee Technological University in Cookeville, Tennessee since 1967. Morris is regarded as the leading authority on the literature for the tuba, was one of the founding fathers of the Tubists Universal Brotherhood Association (T.U.B.A. ), and acknowledged worldwide as the major authority on the development of the tuba ensemble. He is the Senior Editor for the recently published Tuba Source Book, conductor of the large professional tuba/euphonium ensemble, Symphonia, founder and co-­? producer of the new tuba jazz ensemble, The MJT PROJECT, and has been awarded the prestigious Lifetime Achievement Award by Tubists Universal Brotherhood Association as well as the 2003 Tenn Tech University Caplenor Research Award, the most prestigious award presented annually to TTU faculty. Tuba artist, teacher, pedagogue, and solo recitalist, Jacobs School of Music Professor Daniel Perantoni is an innovator in a variety of genres including chamber music and jazz. He has appeared as the featured artist at Carnegie Hall, the Monterey Jazz Festival, the Spoleto Festival U.S.A., the Adelaide Festival in Australia, the Banff Centre for the Arts in Canada, the Montreux Brass Congress in Switzerland, and as a soloist throughout North America Europe and Japan. Mr. Perantoni was a founding member of Summit Brass, a member of Symphonia, the Saint Louis Brass Quintet, and the Matteson-­?Phillips Tubajazz Consort. Mr. Perantoni was the first president and founding member of T.U. B. A. (now ITEA) and received the Lifetime Achievement Award from the executive board of T.U.B.A in the year 2000. His students hold prestigious positions in major performing ensembles and music schools around the world. Jack Leroy Petersen is an American jazz guitarist, pianist, composer, arranger, music publisher, music clinician, and renowned pioneer in jazz education. He has served as a Resident Artist and Professor of Guitar at several major institutions, including the Berklee College of Music (1962-­?65), the University of North Texas College of Music (1976-­?88), and the University of North Florida (1988 – 1995). Dean Gwyn Richards is the current Director of the Jacobs School of Music. Prior to his current position at Indiana University, Dean Richards served the IU School of Music as Director of Admissions, eventually becoming the Associate Dean of Admissions and Financial Aid. In July 2001 he was appointed as Dean, after serving as Interim Dean since 1999. Dean Richards has also held a variety of administrative and choral positions at a number of other institutions including McGill University in Montreal, Rice University in Houston, Texas, and the University of Southern California. Gail Robertson earned a BA from the University of Central Florida and a MM in Euphonium Performance from Indiana University, serving as graduate assistant to Harvey Phillips. Continuing with Doctoral studies at the University of Maryland with Dr. Brian Bowman, she relocated to Orlando as a musician in Walt Disney World’s “Tubafours.” While at Disney, she served as musical supervisor and chief arranger producing a highly acclaimed CD, “Tubas Under the Boardwalk.” Gail is active as a teacher, adjudicator, composer, arranger and free-­?lance artist, both nationally and internationally. Currently she is a University Distinguished Fellow at Michigan State University and has previously taught on the faculties of the University of Central Florida, Bethune-­?Cookman University, the University of Florida, Valencia, and Seminole Community Colleges. Robertson has served a number of positions with the International Women’s Brass Conference (IWBC) as well as the International Tuba and Euphonium Association (ITEA) and has toured around the world with Keith Brion’s “New Sousa Band,” the Brass Band of Battle Creek, the Athena Brass Band, and the Brass Band of Central Florida. Jim Self is a Los Angeles free-­?lance musician, a veteran of over 1500 motion picture scores, hundreds of television shows and records, and is tuba soloist on many prominent movies. Mr. Self holds degrees from Indiana University of Pennsylvania, Catholic University and a DMA from the University of Southern California-­?-­?where he teaches tuba and chamber music. His major tuba teachers were William Becker, Harvey Phillips and Tommy Johnson. J im is a former member of The U.S. Army Band, past president of ITEA, and taught at the University of Tennessee. His numerous honors include a Distinguished Alumni Award from Indiana University of Pennsylvania in 2003 and a Lifetime Achievement Award by ITEA in 2008. Deanna Swboda is Associate Professor of tuba and euphonium at Western Michigan University. Prior to joining the WMU music faculty, Swoboda toured with the Dallas Brass, performing hundreds of concerts in the United States and Europe. Swoboda is the creator and performer of a band recruiting video and music workshop called “Band Blast Off.” Her solo CD, “Deanna’s Wonderland,” was released on Summit Records. Her new solo tuba CD is entitled “Shamanic Journey” and features the music of women composers and it is available through Potenza Music. Ms. Swoboda currently serves as President for the International Tuba Euphonium Association. Paul Weikle is currently Director of Bands and Professor of Music at Florida State College at Jacksonville (FSCJ), a position he has held since August 1999. Mr. Weikle is currently pursuing his doctorate in conducting at the University of Southern Mississippi, and has previously studied at the University of Central Florida and at Indiana University where he was associate instructor for Harvey Phillips. Piotr Wisniewski has performed both as a solo and collaborative pianist across Europe and the United States. For the past two years he has been an opera coach for the Indiana University Opera Theater, as well as the musical director of the Jacobs School of Music Graduate Opera Workshop under the direction of soprano Carol Vaness. Mr. Wisniewski maintains an active career as a collaborative pianist, accompanying numerous professional, faculty and student recitals and performances. He was recently heard playing on National Public Radio’s “Prairie Home Companion” in their live broadcast from Bloomington, Indiana. As a soloist, he has appeared as the piano soloist with the Silesian Philharmonic as well as the Rzeszow Philharmonic in his native Poland. Mr. Wisniewski has also performed many solo and chamber recitals throughout Europe. He holds advanced degrees in piano performance from the Conservatory in Katowice, where he also served as a vocal coach and collaborative pianist after finishing his studies.